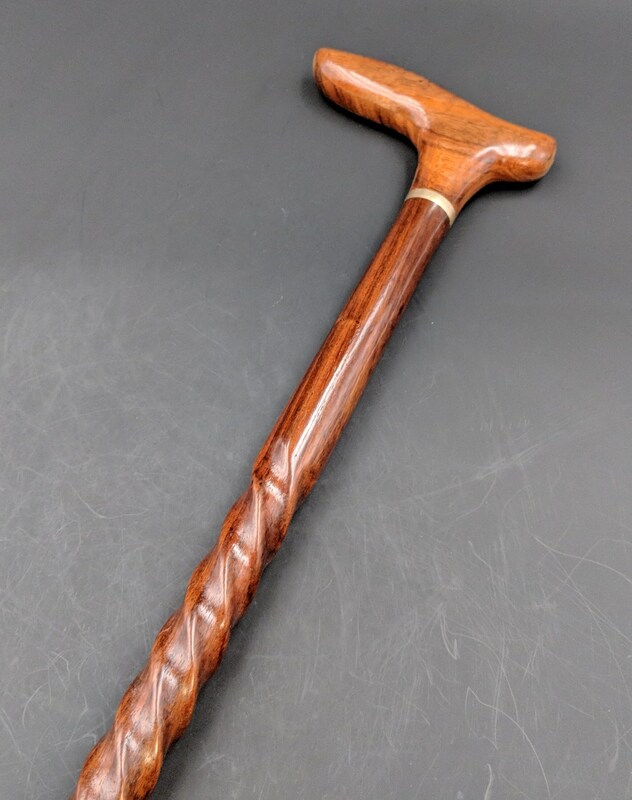 I matched this Curly Koa Handle I made out of two pieces of Curly Hawaiian Koa and a center piece of Indian Rosewood for lamination strength with a Turned Spiral shaft of Brown Indian Rosewood (Dalbergia sisso) . 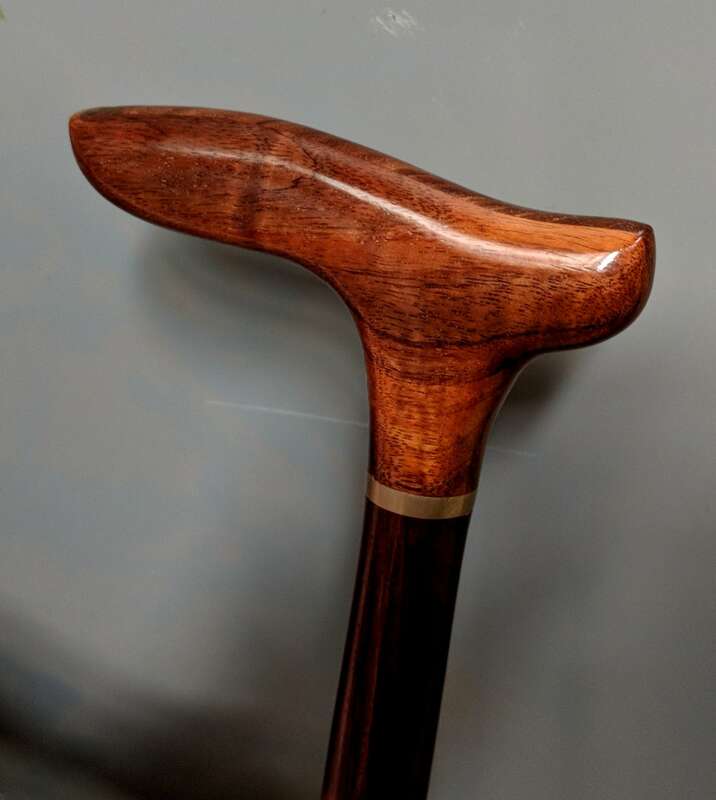 This Rosewood is grown in cultured plantations to sustain the resource. 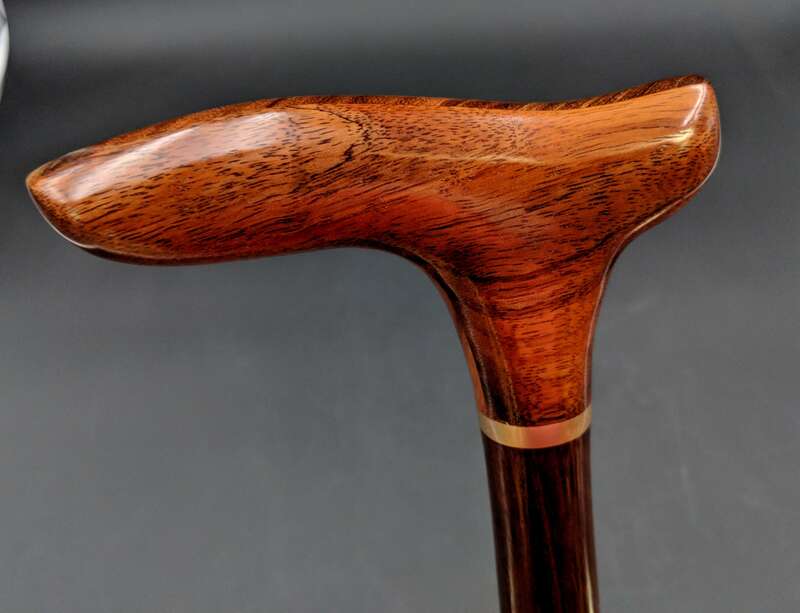 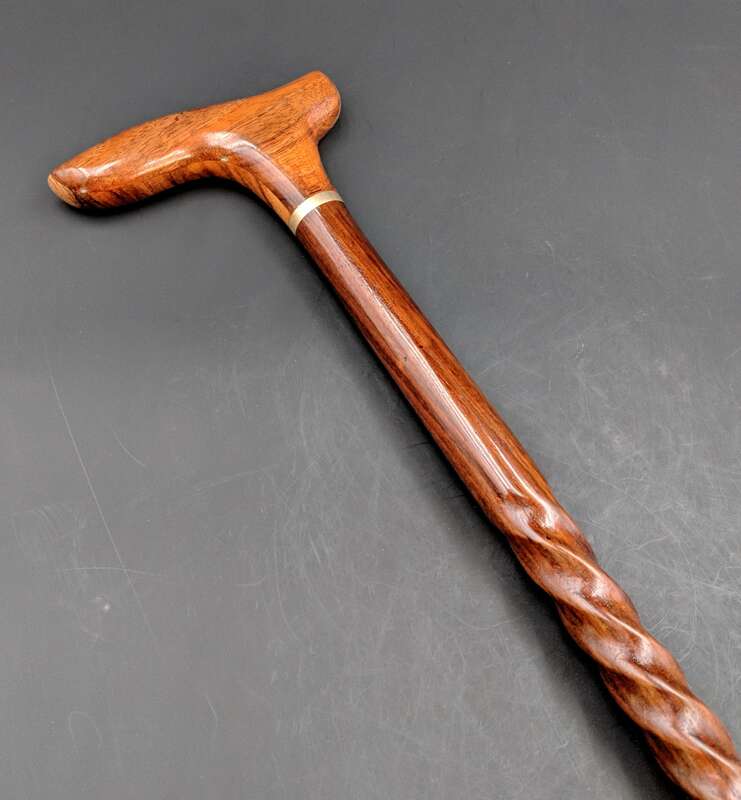 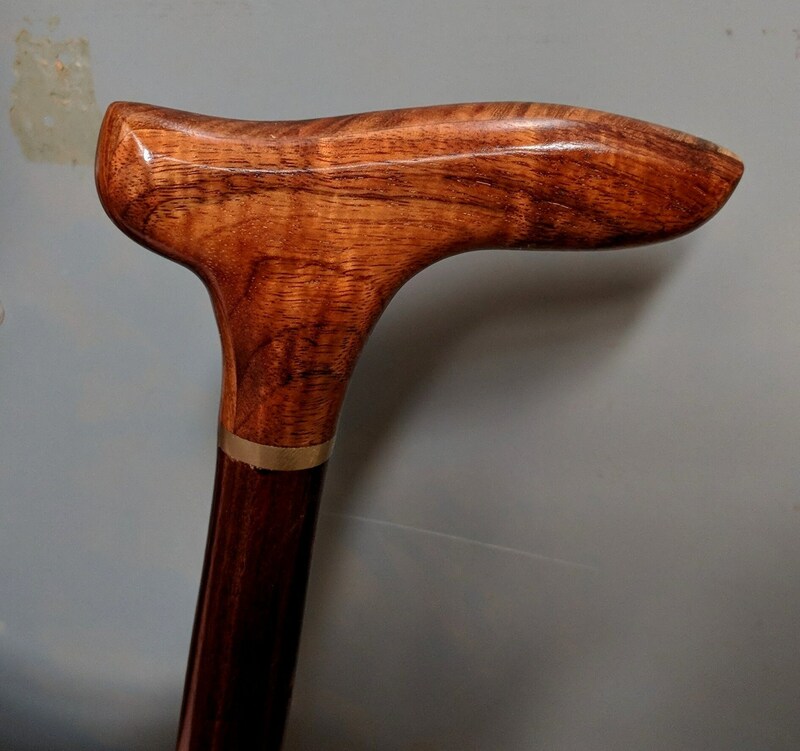 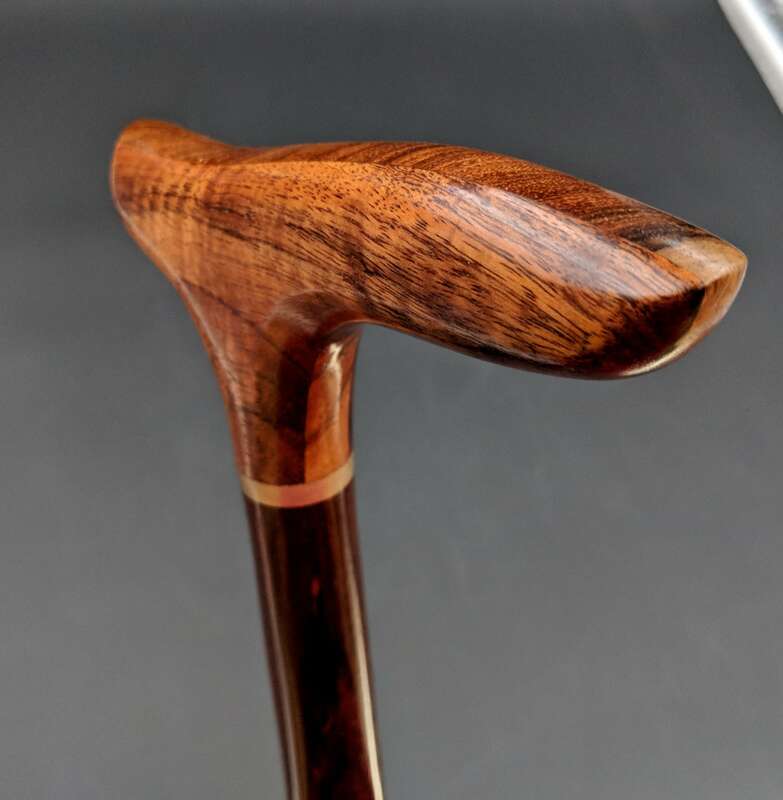 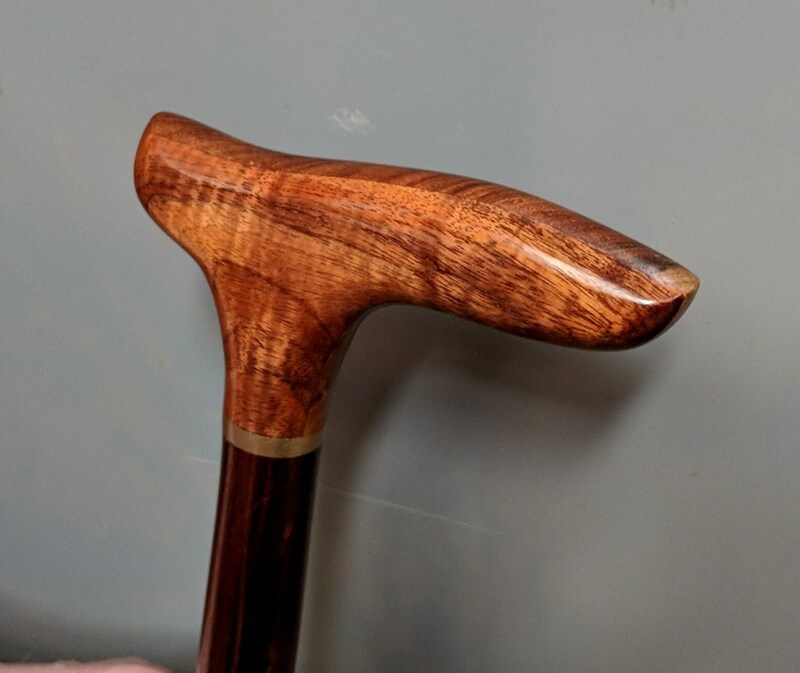 This cane is currently 38 1/8" but can be cut to a shorter length if desired. 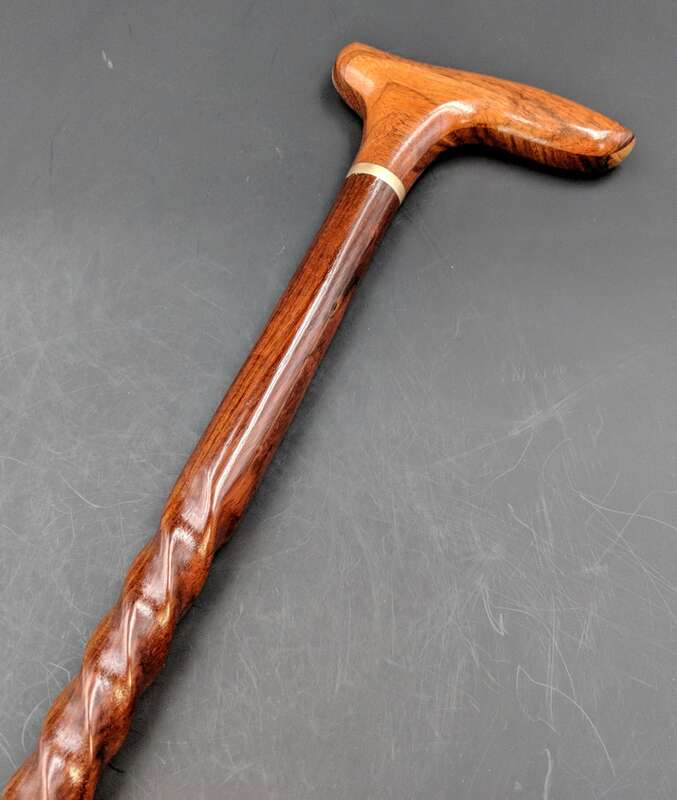 Shaft is turned on a lathe. 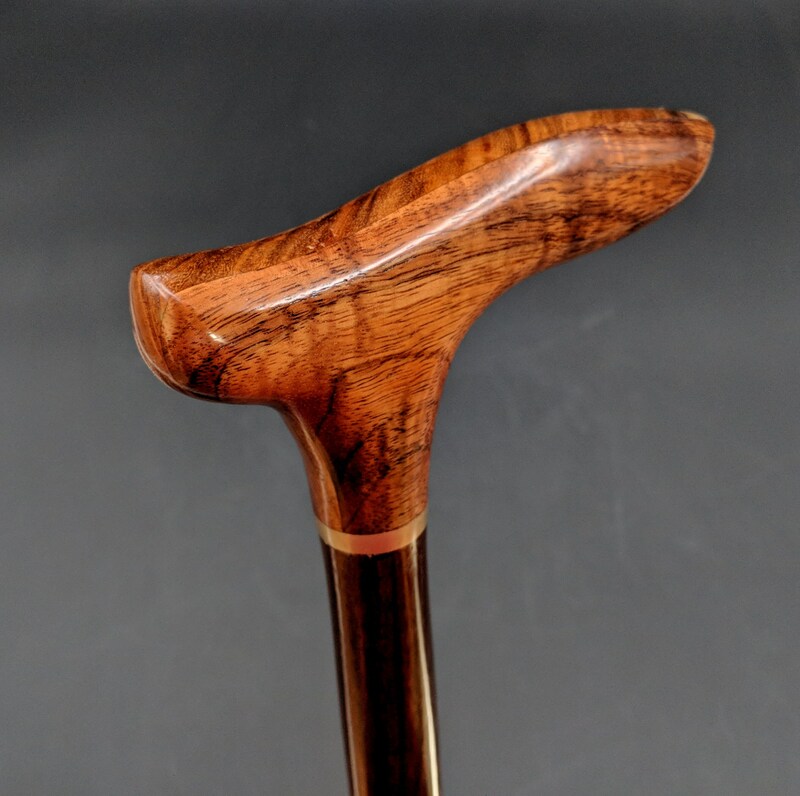 The handle is 5" long and about 1" in diameter and made of two pieces of Hawaiian Curly Koa laminated with a piece of Rosewood for strength.